100% cotton (controlled biological cultivation, fabric weight 260 g/m²), fabric made in Turkey. Metal zipper. Corozo buttons. Garment made in Turkey. Hem width for size 32 = 46 cm. 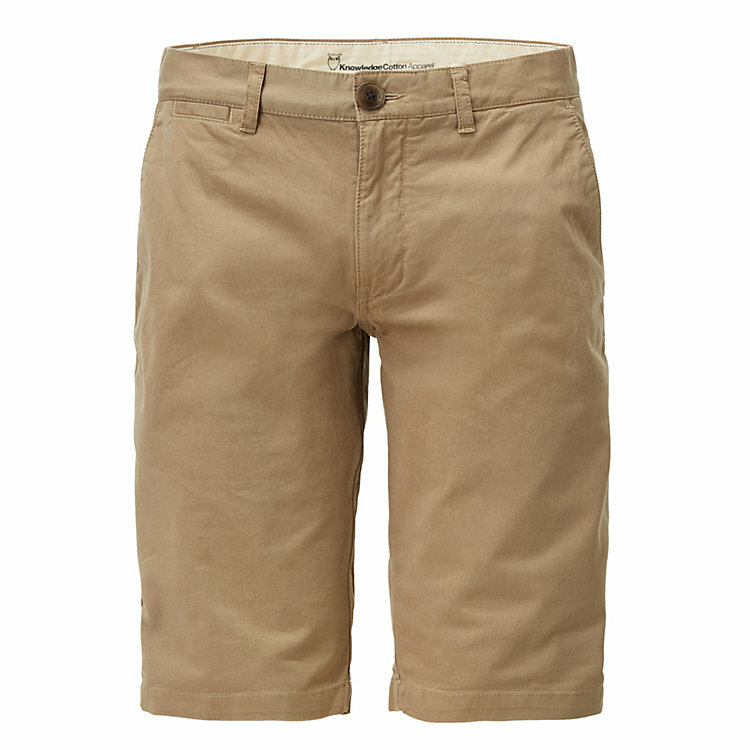 Shorts with a classic chino look. The medium-weight cotton fabric ensures a good fit. Comes with two front pockets, a small coin pocket and two back pockets.